Location and opportunity are the key! 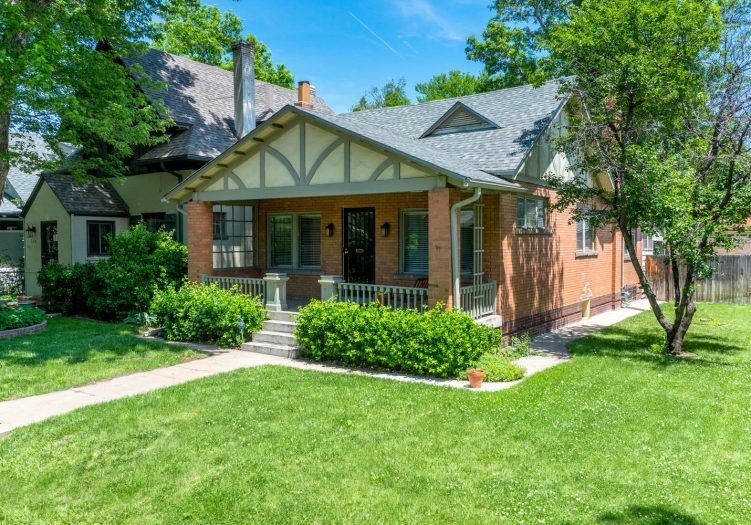 This charming home is located on the shoulder of Denver Country Club neighborhood in the Driving Park Historic District on a delightful tree lined street of lovely homes. Lots of southern light in the large side yard. The craftsman character is maintained even while updates to the kitchen and bathroom provide modern convenience. Spacious living room and dining room are accented by brick fireplace and hardwood floors throughout. The master bedroom has been enlarged to provide more space, a skylight and 2 closets. Large bath is centrally located between the 2nd Bedroom/study. The basement has a spacious laundry/storage room that access another bedroom (non-conforming) and a storage area. Back hallway great for storage leads to a covered terrace and private backyard with gorgeous blue spruces and a two-car detached garage rounding out the special features of this historic gem. Tax Credits may available for historic renovations/improvements.